If you could sum up How to Be a Poker Player in three words, what would they be? Do we take the “Red” or “Blue” pill? Do we continue down the familiar path of memorizing probability tables and concocting inscrutable rules, or are we willing to take a gigantic leap of faith to see what was there all along? The story is akin to mastering a karate move - realizing years later that what you thought you knew was only a shadow of the true meaning. If you are looking for a rule book on playing poker – this is not the book for you. But it you want to begin to learn about yourself and how to improve your game, I can highly recommend this story. 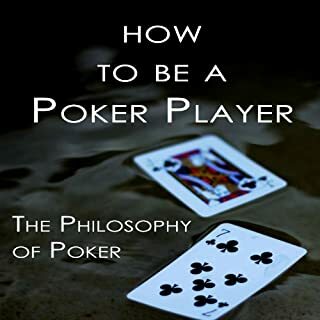 What other book might you compare How to Be a Poker Player to and why? To date, I haven't found a book similar to this one. His use of sayings, quotes, and clear speech. IMO, this is a great book on poker.